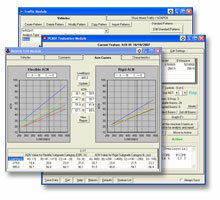 PCASE software is considered public information and is therefore free to all users. Certificate of Networthiness: Certificate of Networthiness: Current federal regulations require all major applications and general support systems to be certified as being compliant with information technology security requirements so that information resources and data are protected adequately. For more information concerning the PCASE Certificate of Networthiness (CON) or the US Marine Corps Authorization to Operate (ATO), please contact George Van Steenburg at George.W.VanSteenburg@usace.army.mil or Air Force CON contact Hardold Muniz at harold.muniz_ruiz.4@us.af.mil. NOTE: This update adds the Boeing B787-8, B787-9, and B787-10 to the database. Standard Detail Drawings - CAD files for standard details used in the design of transportation systems from DG 1110-3-204 for the Army and AFB 88-71 for the Air Force. DISCLAIMER: These programs are furnished by the U.S. Government and are accepted and used by the recipient with the express understanding that the United States Government makes no warranties, expressed or implied, concerning the accuracy, completeness, reliability, usability, or suitability for any particular purpose of the information and data within these programs or furnished in connection therewith, and the United States shall be under no liability whatsoever to any person by reason of any use made thereof. These programs belongs to the Government. Therefore, the recipient further agrees not to assert any proprietary rights therein or to represent them to anyone as other than Government programs. Note to Non-US users: PCASE will only work if the language of your computer is set to recognize decimals as "periods" or "2.045". If your language uses "commas" or "2,045" for decimal notations, then PCASE will not run properly. Questions or comments concerning this website should be directed to webadmin-transport@usace.army.mil. The security accreditation level of this site is UNCLASSIFIED//FOUO and below. Do not process, store, or transmit information classified above the accreditation level of this system.